Dividend Aristocrats...Dividend Achievers...Dividend Champions. We all know what type of companies are on those lists -- companies that have raised their dividends each year without fail for decades. There's certainly a lot to be said for those companies as they've obviously been doing something right and they almost assuredly have solid competitive advantages. In short, they're a passive dividend investor's dream...when they can be purchased for the right price. The problem is that investor assets have flooded into dividend-focused ETFs that own these type of stocks. For instance, the SPDR S&P US Dividend Aristocrats ETF raised almost $100m days after it launched...in Europe. As a result of this heightened investor interest in dividend-paying stocks with impeccable track records, the cream-of-the crop stocks may not be great buys right now. Instead, if you're seeking dividend-paying stocks that have a better chance of being undervalued right now, you should also consider looking into dividend-paying stocks that I'll call "prodigal sons". These are stocks that once had sterling dividend track records but fell from grace during the financial crisis by cutting their payouts and are now in the process of rebuilding their dividend reputation. Hundreds of companies cut their payouts during the financial crisis, but not all of them cut for the same reasons. Some were forced to by regulators (big banks), some levered up and made silly acquisitions at the wrong time, and some simply got caught paying out more than they could afford. The fact that they cut their payouts shouldn't be forgotten, but they shouldn't be written off completely, either. Some of them may be back on the road to redemption. But how do we begin to separate the Prodigal Sons from the repeat offenders? 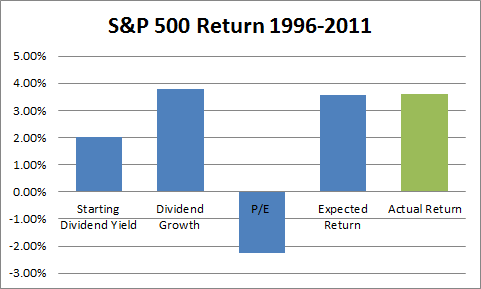 First, determine why the company cut its dividend during the financial crisis. Take a look at its financial statements in 2008 and 2009 and read the press release and management comments surrounding the dividend cut announcement. Did the company have the financial resources to continue paying and opportunistically seized the opportunity to reset its payout to a less burdensome level? Did it make some big investments at the wrong time that -- in hindsight -- put the company in a tough spot going into the recession? In some cases, companies should be let off the hook a bit for making the right investments at the wrong time. Who was running the company when the cuts were announced? Is it the same team today? If it's the same team, look to see if they've learned their lesson -- look for cost cuts, an improved balance sheet, a more focused growth strategy, better returns on capital and equity, and renewed dividend hikes since the nadir. If the team has changed, what is their strategy and how does the dividend fit into it? Has the company explicitly addressed the future of its dividend? If the company has realigned its dividend policy to be more sustainable (a lower payout ratio/higher cover), that's a positive sign. A company that's hiked its dividend each year since the cut is another encouraging sign. Look for management's comments on the dividend in conference call transcripts and in annual reports. Companies often address their priorities for free cash flow in conference calls or investor presentations -- is the dividend one of the top priorities? What was the company's dividend track record prior to the cut? A company that increased its payout for 15 years prior to the cut, for instance, likely means that the dividend is part of the corporate culture and management might be eager to regain its reputation as a steady payer. All this is to say that some of the best longer-term dividend ideas right now might be found in the group of Prodigal Sons. They should be approached with caution and they'll take more research effort, but the payoffs may be worth it. Ellis ultimately contended that the influx of smart and motivated people into the industry led to money management becoming a “loser’s game” -- a game in which you'd be crazy to compete and one that you should perhaps consider surrendering to (i.e. buy an index fund). Interestingly, legendary value investor Benjamin Graham voiced a similar opinion in a 1976 interview that was moderated by none other than Ellis. In the interview, Graham lamented that "in the light of the enormous amount of research now being carried on, I doubt whether in most cases such extensive (research) efforts will generate sufficiently superior selections to justify their cost." Unfortunately, the rise of the institutional investor has continued unabated in the four decades since Ellis’s article. Today, institutional investors (hedge funds, mutual funds, endowments, etc.) own about 70% of the market -- about twice as much as in 1975. If anything, then, Ellis’s thesis that money management is a loser’s game is even more disconcerting to investors today. Nevertheless, the quest for beating the market remains a popular one. A quick search for the phrase “beat the market” on Amazon, for example, turned up 236 books with the phrase in the title, so the quest to beat the market is indeed alive and well. However, with legions of smart hedge fund and mutual fund managers dominating the market, it’s completely reasonable for investors to conclude that the odds are stacked against them and simply buy an index fund. But allow me to alter the premise for a moment. Should the individual investor even care about beating the market? In other words, does it have to be an "A or B" situation (try to beat the market or surrender to it)? Institutional investors don't have much of a choice in whether or not they benchmark performance against the market as it's their primary means of marketing and attracting assets; however, for the individual investor, there are no such obligations. Indeed, obsessing over short-term relative performance to the market will only lead the individual investor to make more trading decisions, which means higher trading costs and the potential for more mistakes. Instead, investors should think about beating the market only as an afterthought and only over longer periods of time (at least rolling five year periods). If you're like me, when you make an investment you don't care so much how your investment is doing relative to the market -- you only care that the investment goes up. If the market goes down 30%, for instance, it's no consolation that my stock is "only" down 15%. As the saying goes, you can't spend relative performance. Avoid permanent losses by demanding at least a 15% margin-of-safety on all investments with a goal of profitably closing at least 75% of all positions. Produce high levels of recurring income by purchasing undervalued dividend-paying stocks with a goal of realizing a 3% initial yield and 7% annualized dividend growth. Aim to own some of the market's best-performing stocks over the next decade by making equal-sized small bets on a wide number of small companies that have at least 15% insider ownership and double-digit revenue and earnings growth rates over the last three years. These are just examples, but whatever your objective may be, I believe that you'll not only stand a better chance at realizing satisfactory returns if you set yourself a customized objective, but that five, ten, fifteen years from now when you look back at your relative performance versus the market, you'll be quite pleased with the results. The sign of a sound investment strategy might just be one in which you can look back and see that the market had very little to do with your success. To give yourself the best chance at obtaining satisfactory long-term returns, Ellis offers a few excellent tips. David didn't slay Goliath by playing on Goliath’s game on the giant's terms, nor should you play the institutions' game on their terms. Staying patient, keeping a long-term mindset, and establishing an alternative strategy alters the playing field and improves your odds of success. The less complicated your investment strategy, the better. As Ellis recommends, "Try to do a few things well." By focusing your efforts on one strategy -- whether it is based on dividends, small caps, deep value, etc -- and consistently sticking to it, you can more effectively tune out distractions and make better decisions. As a result, you'll keep trading costs down and give yourself the best opportunity to realize your return objectives. The average mutual fund turnover ratio is near 100%, meaning that the average stock in the average fund is typically held for one year. With that in mind, we’re presented with two options -- hold our stocks for less than a year (and we know we’re unlikely to win that game) or hold them longer than a year. Our key strength as individual investors lies in our ability to be patient, so our selling strategy should start with the idea of holding for at least three years and ideally five years or longer. Obviously if one of your stocks shoots 30% above your fair value, it might be time to sell or trim the position, but on average we should look to hold for longer periods of time. Trying to beat the market is a loser’s game if you make it your primary investment objective, so don’t play it. Instead, redefine the game. Establish your own objectives, stick to your strengths, and stay patient and when you look back at your returns five years from now, I think you'll like what you see. And if you beat the market, all the better. What do you think? Please post your comments or criticisms below. To borrow a phrase from Dickens, it may be the best of times and the worst of times to do so. You can still build a dividend portfolio with a respectable average yield today, but strong market performance in the first quarter considerably shrunk the pool of opportunities. Since yields and share price have an inverse relationship, suffice it to say there are slimmer pickin's now. With that said, here are five rules for building a dividend-focused portfolio in today's market, or any market for that matter. When you've resolved to build a dividend-focused portfolio, it's natural to want to get fully invested right away and get your money working -- especially when cash and money markets pay you effectively nothing. Resist that temptation. Remember, patience is the individual investor's greatest advantage over the market. Unlike a mutual fund manager who may feel compelled to be fully invested at all times to keep up with peers or the market, or may be restricted by the fund's objectives, you have no such pressures or obligations to get fully invested straight away. Only pull the trigger on a new investment when the opportunity is right (see rule #2). If it takes six months or a year to get fully invested, that's better than going all-in on potentially over-valued stocks. A scatter-shot approach to portfolio construction may be effective when the market has been depressed (late 2008/early 2009), but when the markets have been on a run as they have, it's more important to be selective and deliberate. A stock's yield can be used as a value indicator, but yield alone tells us very little about a stock's value (think about banks' high yields pre-financial crisis and pre-dividend cuts). As such, investors should consider yield alongside other value indicators when making investment decisions. Each investor has his or her own way of valuing a stock (DCF, DDM, comparing multiples, etc. ), but whatever your preference it's important to estimate a fair value before buying a dividend-paying stock (and any stock for that matter). Repeatedly paying $1.20 for $1, of course, is a quick way to sub-par investment performance. Even if the overvalued stock is paying 3%, with a little patience you'll likely get a chance to buy it below its intrinsic value with a higher yield, to boot. Bottom line: always demand a margin-of-safety before investing -- even in a dividend-paying stock. High yield stocks tend to cluster in a few sectors. Utilities and telecoms, for instance, tend to feature higher yields than technology and energy stocks, so they tend to carry more weight in yield-based portfolios than in the market portfolio. It's easy to fall into the trap of loading up on high-yielding stocks in just a few sectors in order to maximize yield. That model can fall apart quickly, however, if one of those sectors falls on hard times (again, financials in 2008/09). Even if you need to sacrifice a little yield today by investing in some lower-yielding stocks from other sectors, don't be afraid to do so as long as those stocks meet your investment criteria and fit your portfolio objective (see rule #4). Dividend investors tend to have one of two objectives -- maximize current income or generate a longer-term growing income stream. The former group prefers high-yield today at the expense of income growth potential; the latter willing to sacrifice a little jam today for more jam tomorrow. Both approaches have their merits -- a mix of both is fine, too -- but it's critical to define your objective to help you structure your portfolio to meet your needs. Most importantly, write down your objective, keep it next to your work station, and review it every time you make an investment decision. Because you're in charge of your portfolio, you can tailor your portfolio weightings to meet your unique situation. Want more current yield? Increase your portfolio weight toward the higher-yielding shares. Want more income growth? Put more cash toward companies growing their payouts at double-digit annual rates. By setting a portfolio objective (i.e. "Generate a current yield >25% above the market average and grow income three points above CPI inflation"), you'll be more likely to stay the course, make prudent investment choices, and improve your chances of satisfactory returns. Most broker websites don't do a great job of tracking portfolio income growth -- normally income growth is lumped in with total returns. If you're building a dividend-focused portfolio, then, it's easy to lose track of your income performance if you rely on brokers to keep records for you. And the whole point of building a dividend-focused portfolio is watching the income flow in. You may need to build your own Excel spreadsheet or manually keep tabs on a notepad, but the important thing is to keep records so you can remain focused on your income. Keep track of quarterly and annual income received and review performance periodically. Hope this was helpful. More to come.